Alireza Fghani has received AFC’s Special Awards for Referees in 2016, along with assistant referees and compatriots Reza Sokhandan and Mohammdreza Mansouri. In a letter to General Secretary of Iran Football Federation (IFF) Alireza Asadi, the Asian Football Confederation (AFC) has invited Alireza Faghnai, as the AFC Referee of the Year, as well as Reza Sokhandan and Mohammadreza Mansouri, as best assistance referees of the year, to attend a ceremony due to be held in Kuala Lumpur on October 20. The Iranian football referee team will receive the 2016 AFC’s Special Awards for Referees during the upcoming event for officiating the final match of Men’s Olympic Football Tournament in Rio de Janeiro. As quoted by the AFC official website, since becoming a FIFA International referee in 2011, Faghani has been entrusted with a host of high profile matches. He was named the fourth referee for the opening match of the 2014 FIFA World Cup between Brazil and Croatia. He was also tasked to officiate the 2014 AFC Champions League Final first leg match between Al-Hilal and Western Sydney Wanderers. During the hugely successful Asian Cup 2015 Australia, Faghani was appointed to officiate the final match between Korea Republic and host nation Australia. Faghani also refereed the 2015 FIFA Club World Cup final, which saw Barcelona take on Argentina’s River Plate. 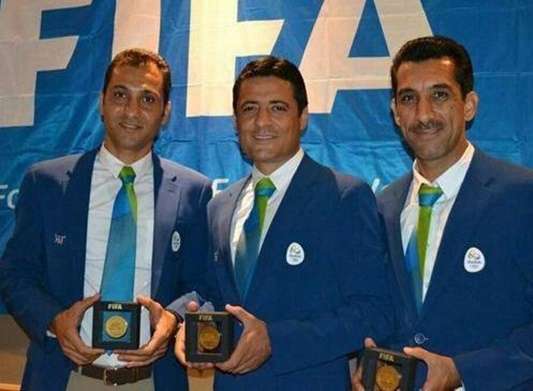 During the award-receiving ceremony, the 38-year-old Faghani will be joined by assistant referees and compatriots Reza Sokhandan and Mohammadreza Mansouri, both experienced referees in the Continent.